It's not an easy job to stay awake all through out night. In fact, our body requires the necessary amount of rest in the form of sleep for proper rejuvenation so that we are able to rock the next day. 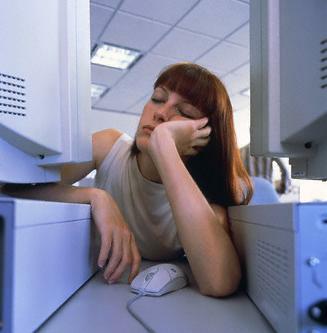 But, in many cases we see that people are yielding to sleep and ending up with their work incomplete. It's a terrible fight to battle against sleep and stay awake to finish the work at hand. I have gone through this for a number of years now. However, as I have repeatedly written again and again, time is limited. You either choose to sleep or stay awake and work. For those strong supporters of minimum requirement of sleep, I have been one so in my past. After seeing many people who could be equally efficient having slept just alternate nights, I had to question my notions. As I read about people like Donald Trump, who just sleeps for four hours out of 24 hours of a day, I was surprised. I even went on to the extent of enquiring with doctors from experience of 10 years up to 45 years to find out the exact requirement of sleep for a human body. All they suggested was a sound and deep sleep of 4 hours only per day. It is one of my goals to reach the efficiency level of just sleeping 4 hours a day, but still being the best at my work and energy levels. Having narrated about my research regarding the amount of sleep required for our body, I want to jump into the problem of those people who find it difficult not to yield to sleep and hence end up sleeping for long hours. It's around 11-11:30pm during which there is a feeling of dozing off. If you can just get up from your place and splash water on your face, you can procrastinate your sleep. Set up some kind of a work that you have to do at that time, which will automatically drive you out of your seat, which will eventually put off the dozing. When we doze, there is a natural pull towards going to the bed and sleeping. This pull has to be fought against. That's why during night times, I plan up different tasks for every twenty minutes so that my mind keeps working in different directions and avoids dozing off. I just wish that some of these tips shall help you to procrastinate your sleep for sometime so that you can invest extra hours in your work. Oh my God! Tussi great ho! Hats off to Amitabh Bachchan sir!